Jim Slater resigns for three years at $4.8 million. As Winnipeg Jets captain Andrew Ladd did last summer by signing to a five-year, $22.5 million deal on July 5th of last summer, gritty centre and Jets faceoff specialist Jim Slater followed suit this off-season. 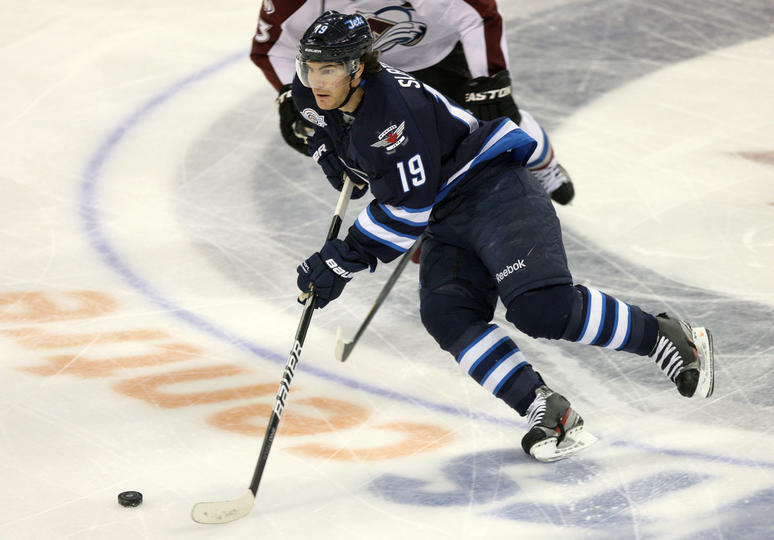 Slater signed a three-year, $4.8 million deal to remain a Winnipeg Jet as he becomes the first unrestricted free agent the Jets have locked up in the 2012 off-season. Making an average of $1.6 million a year for the next three years, Slater endeared himself to Jets fans for his hard work ethic, his role as a pivotal faceoff man, and his community work, which included visiting various Winnipeg workplaces and having a try at other careers. Not only is Slater always been with the Atlanta/Winnipeg franchise, but he is the only remaining player who has played in all four playoff games for the franchise. He also earned this contract with his play and his regular presence in the Jets lineup as he suited up for a career high 78 games in 2011-12 after having multiple injury problems that set him on the shelf for games at a time during his stint in Atlanta. Slater was the centre to the Jets GST line. In those 78 games, Slater collected 13 goals and 21 points, both career highs to go along with 42 penalty minutes. In addition (and somewhat unbeknownst to many Jets fans), Slater is the Jets nominee for the 2011-12 Bill Masterton Trophy. He has been nominated for the 2011-12 King Clancy Memorial Award for the player who best exemplifies leadership qualities on and off the ice while making significant contributions humanitarian contributions in the community. And to top it off, he is also nominated for the 2011-12 NHL Foundation Award for the player who applies the values of hockey - commitment, perseverance, and teamwork - to enrich the lives of people in his community. As the longest serving player in the franchise, Slater has created a sense of identity for the new Jets club for being hard working and never giving up. As was the situation last summer with Andrew Ladd signing in Winnipeg, Slater's signing bodes other teammates who are either unrestricted or restricted, to come back and make the team better and continue the development they made during their inaugural year in Winnipeg.